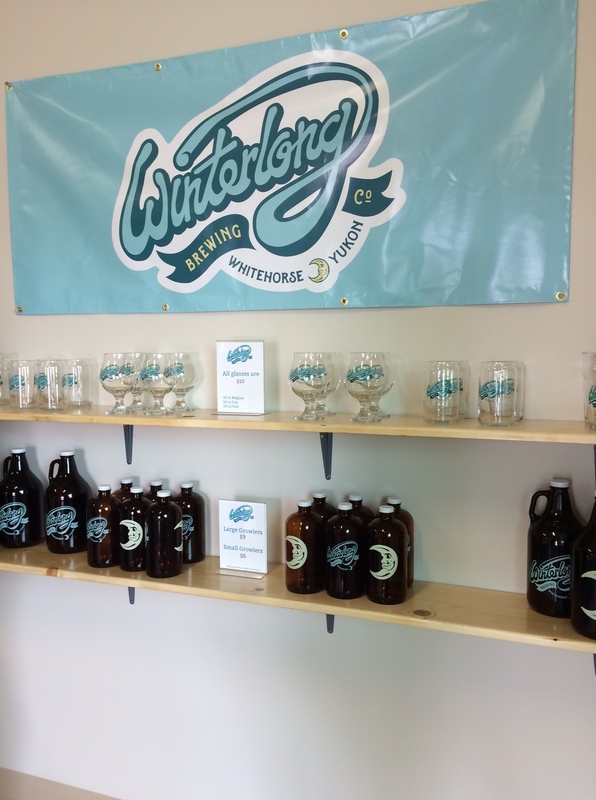 Upon hearing that Winterlong Brewing was having a pre-opening on the Friday of the long weekend, my husband insisted we head over and fill up a growler. It’s a small operation (not a microbrewery, but rather a nanobrewery) just up the road to Mt. Sima. But for their first day, they had a lot of swag! And apparently we weren’t the only ones who rushed out to check them out. We went with the Pingo Pale Ale. It’s a bit hoppier than what I usually go for, but that means it’s right in my husband’s wheelhouse. Also on tap was a Hefeweizen. I used to really go for these Wheat beers as a younger drinker. But I tend towards the maltier offerings nowadays. 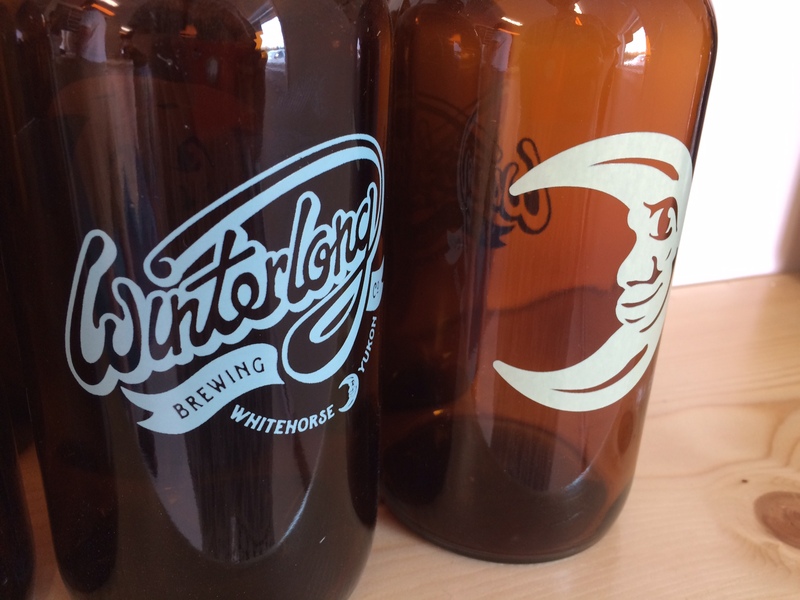 They are off to the Haines Beer Festival this weekend, so you’ll have to wait to get your fill. We’re heading there too, so I guess you’ll be seeing some non-Whitehorse visits in the coming weeks of blog posts! Likelihood of return visit: For certain – as my husband will try ever beer they come up with. 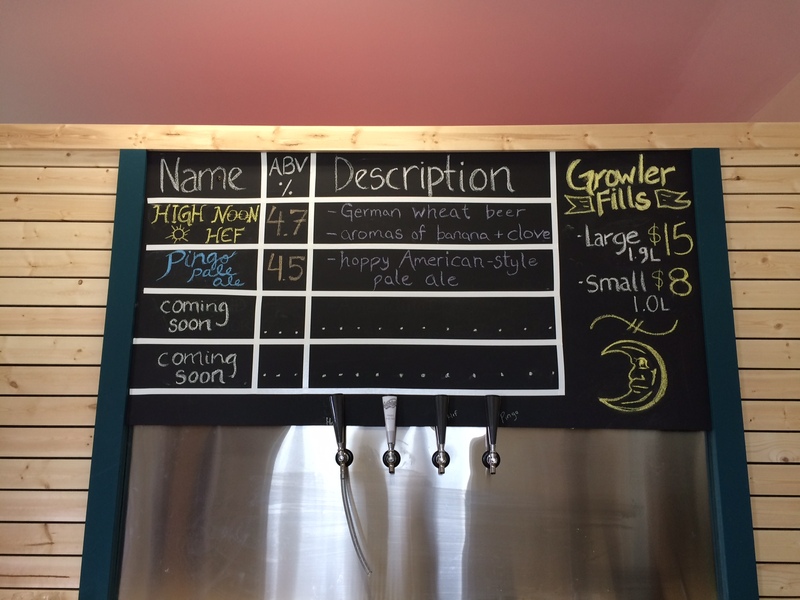 Posted in Great Find and tagged Beer, beverage, Brewery, New, Visit, Whitehorse. Bookmark the permalink.